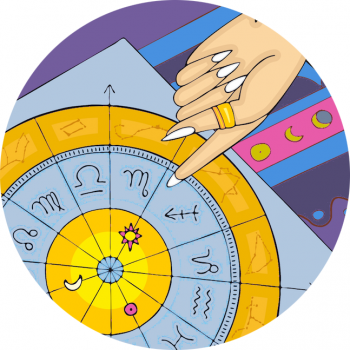 People with Venus in Cancer are deeply sensitive and make affectionate, caring, nurturing and devoted partners. People with this planetary placement aren’t direct or aggressive in the pursuit of romance, rather they’re gentle and likely to dip their toe in the waters of love before diving in or making big waves. And yet the are able to assert themselves with great emotional resources and sentimentality. Their love could feel possessive and overwhelming at times, as they’re highly attached, a fan of cuddles and closeness from friends and lovers. In terms of romance they prefer quality to quantity and need a partner they can trust with their tender hearts. Security is important, as is home and family, and so they seek commitment and relationships that are predictable rather than spontaneous and full of surprises. This is an absolutely gorgeous placement for Venus, shining through the luminous zodiac sign, governed by the moon. Here, Venus is bathed in the glow of moonlight, and thus the people with this flavour of Venus have deep, sensitive eyes, a luminosity to their skin and an air of comforting gentleness. They suit the Cancerian palette of grays, pinks, pearly whites and silvers. As the zodiac sign governed by the moon this placement can be moody, prone to pouting and can suit a smokey eye that shows their serious side. Angelina Jolie typifies the Cancerian beauty, born with Venus rising in Cancer – both her Venus in Cancer and Cancer ascendant shine through. Meryl Streep, born with Sun and Venus in Cancer. The Venus in Cancer person suits gorgeous soft greys, white and pinks and feminine touches. A full flowing skirt might suit them better than trousers or pants, depending on the rest of their chart. Khloe Kardashian, born with Sun and Venus in Cancer. Anna Friel, born with Sun and Venus in Cancer. Many fashion designers are born with Venus in Cancer, including Tom Ford, Miuccia Prada, Valentino, Sonia Rykiel, Christian Lacroix and the Olsen’s, and many fashion icons – Grace Jones, Liberace, Liz Hurley, Angelina Jolie, Stevie Nicks, Charlotte Gainsborough and Iris Apfel. What’s notable about the Cancer constellation, is that this is the zodiac sign most in tune with the collective consciousness, as the moon (ruler of Cancer) puts us in touch with ‘people’ at a very encompassing level. Those with moon in Cancer instinctively know what people need, and can be ahead of trends in this regard. Similarly people with Venus in Cancer can anticipate aesthetic trends and what looks good. Venus In Cancer With A Cancer Sun – Double Cancer!